Eli Shukron is an Israeli archaeologist, excavator a scholar and a licensed tour guide of the ancient remains of Jerusalem. Shukron received his master’s degree from the Institute of Archaeology of the Hebrew University in Jerusalem. Working for the Israel Antiquities Authority Shukron excavated Israel in particulate the holy city of Jerusalem for the past 25 years. In the last 18 years Eli has been digging in the city of David in Jerusalem. And since has become one of the leading experts on the archaeology of Jerusalem with vast experience yielded from numerous excavations in the city. Eli Shukron has made several significant finds as the uncover and finding of the Shiloah Pool and the discovery of the Jerusalem Pilgrim road from the period of the Second Temple of Jerusalem. In 2006 – 2009 uncovered and excavated the ancient Jerusalem Pilgrim road that led from Siloam Pool to the Second Temple Mount. 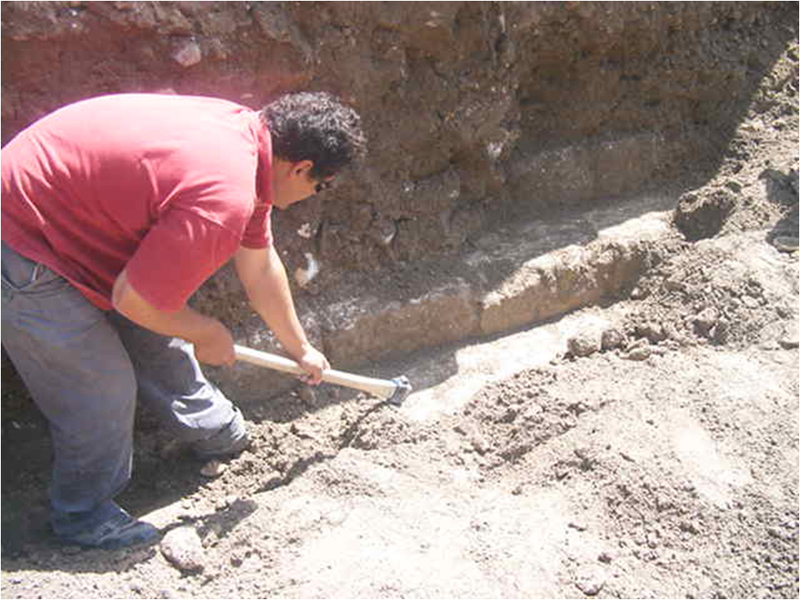 In 2007 – 2012 excavated an ancient Jerusalem water channel that drained Jerusalem. Items discovered in the tunnel appear to confirm Josephus's account of Jews using the sewer as a refuge and escape form the burning city. Among the finds was a roman 2,000 year old iron sword found, with its leather sheath partially intact, a rare half-shekel coin, used to pay the Second Temple tax; only seven other such coins have been found in archeological digs. More of the finds a rare Menorah Etching, a stone object with a rare etching of a (Jewish) menorah (candelabrum) was found in the earth beneath the Herodian Road, adjacent to the water channel. 2011-2012 excavated the foundation of the Western wall and the tunnel beside the wall under Davidson Center (Part of the Jerusalem Walls National Park), where a rare golden bell with a loop attached was found, the bell similar to the high priest bell describe in the bible. Also found by Eli shukron a Bulla bearing the name Bethlehem, the first archaeological evidence of the existence of the city of bethlehem already in the First Temple Period. Today Eli Shukron give Lecturers and a licensed Tour guide specialist in the history and archaeology of Israel from King David time until the modern era.